The forecast for summertime travel is not good. I read a New York Times article that suggests that summertime air travelers should budget hours and not minutes to clear security. The article titled Catching a Flight? Budget Hours, Not Minutes, for Security. I know a lot of people who like to arrive at the airport just minutes before their scheduled flight and think they can slip through the security lines and make the flight. That will be happening less and less it appears. We pay extra for airport security! 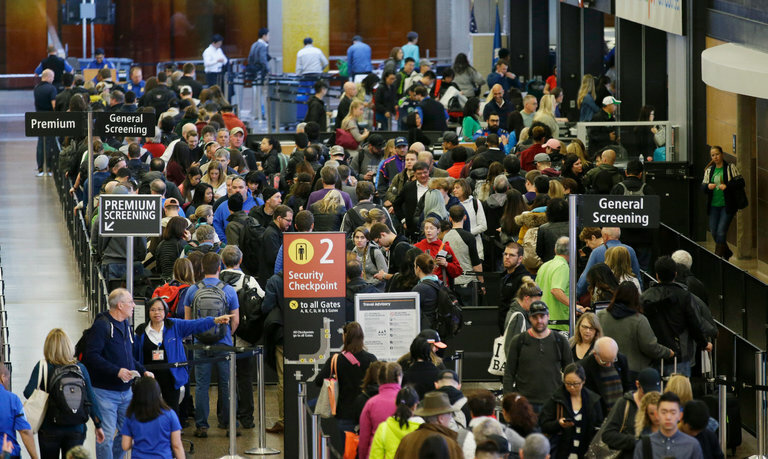 There is a $10 fee added to each ticket for security--and this is how TSA responds? TSA claims the problem is more travelers, but the airports maintain that it is inadequate TSA staffing. From my experience, I think it is the latter. There is no secret how many people are going to be traveling. TSA has access to the travel information well in advance and should be able to plan for increases and busy times. Denver airport telling people to arrive three hours early. 600 passengers missing flights in Charlotte on March 25th because the security line was three hours long! TSA maintains that it was never longer than 1 hour 15 minutes. Whoever believes that a security line should be longer than 25 minutes is living in the wrong time zone. Only Disney World can get away with lines that long. On my recent trip to Alaska, I must confess that I had planned for security delays, but due to the times of day I was catching flights I did not experience long lines. So maybe catching flights at 5PM and 1:45 AM are a good thing. One other travel tip--once you clear security and board your flight, don't expect an open seat next to you. Airlines are filling the planes to maximum capacity--yes, even on my 1:45 AM flight from Anchorage to Seattle there were no empty seats! Flyer beware! It is a jungle out there. If your driving time is 5 hours or less, you might consider driving instead of flying. Just saying!